Mandela and the wrath of his forefathers…. An evening visit to the designated gravesite of Nelson Mandela, prayers for forgiveness to the ancestral forefathers and the tribal elders travelling to Pretoria to be with South Africa’s greatest hero is just some of the drama surrounding Nelson Mandela’s imminent passing. The gravesite is situated about 500 metres from Mandela’s Qunu residence and is reserved for the Mandela family. It has been reported that elders in the Mandela family visited the family gravesite in Qunu, on Tuesday evening, to plead for forgiveness from their ancestors for exhuming the bodies of family members in 2011 by Mandla – the favourite grandson. It is tribal custom that gravesites are either visited early in the morning or late in the afternoon. The elders are furious with former president Nelson Mandela’s grandson Mandla for digging up the remains of his father Makgatho and his father’s two siblings, Makaziwe and Thembekile, and moving them to Mandela’s birthplace Mvezo. The elders have advised the family that “the Mandelas are being punished through making their beloved son (Nelson Mandela) suffer in hospital where he remains in great pain and anguish”. The elders visited the gravesite to plead for their ancestral forefather’s forgiveness and to seek advice as what to do during this difficult time. The elders in the Mandela family have attributed Mandela’s ill health and constant hospitalization for a lung infection to the “wrath of the ancestors”. The “wrath” was caused by the fact that Mandla Mandela, the Mvezo chief, removed the remains without consulting anyone. Elders with knowledge of AbaThembu traditions and customs told the family that this had angered the forefathers which resulted in a curse being put on the Mandela family, by the ancestors. City Press reported that after the meeting it was decided that elders – men only – should visit the gravesite to appeal to the ancestors to spare Mandela from suffering. Mandla did not go to the family gravesite where the elders had gone to plead with the ancestors. It was decided at the gravesite that a delegation would visit Mandela in hospital. “I will be going to see Tata (Father) in hospital. He cannot be alone at this hour of need. He needs AbaThembu and his family next to him,” Mtirara, an elder, said. 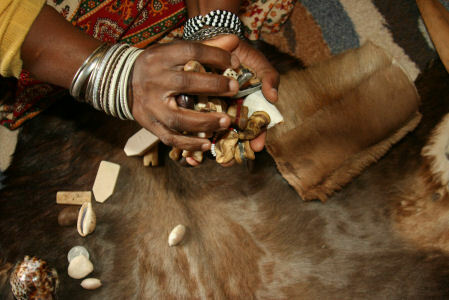 Superstition and witchcraft is rife in South Africa. 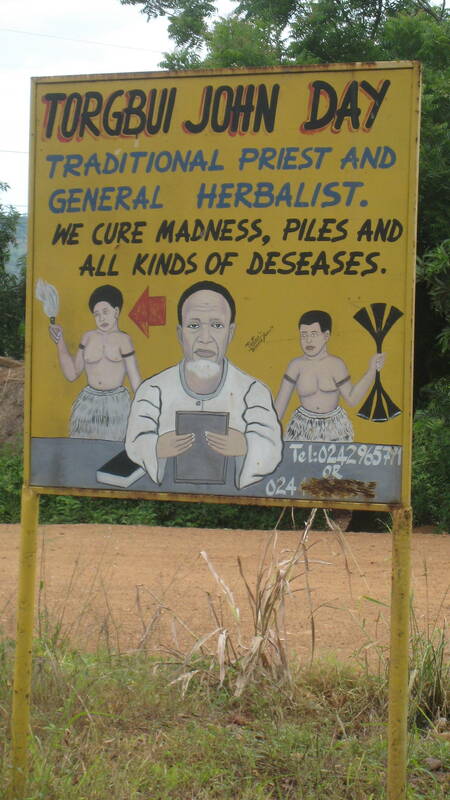 Witchdoctors or Traditional Healers is acknowledged as a profession ….some medical aids even pay for their services. Companies have to accept a “sick note” from a Traditional Healer, who has no formal medical training. Outside the Heart Hospital in Pretoria thousands of people have gathered singing hymns and burning candles in prayer for our beloved Madiba. Elsewhere the bones are being cast and rituals to appease the forefathers are being performed. It is. So many of us are wondering whether his suffering is being prolonged to not disrupt Obama’s visit to South Africa. This is very interesting. Don’t they think he’s dying because he’s very, very old? I hope and pray he doesn’t suffer much longer. Headlines in today’s paper is that the feud is keeping him alive….the family have to beg the forefathers for forgiveness and then he will die….. Sad. It makes a very painful situation even more painful. Wow I had no idea – a very informational post! Our nation has such a rich and diverse culture!